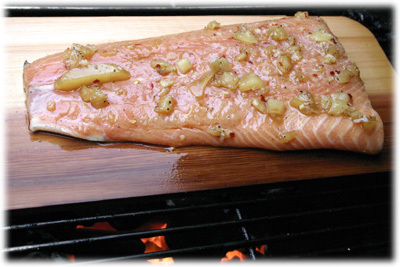 I first developed this salmon marinade recipe when grilling salmon on a cedar plank. The crushed pineapple and honey provide the sweetness while the Jack Daniels gives it the zip you need in life! If you can, try marinating the salmon for at least 2 hours before grilling it for maximum flavor! 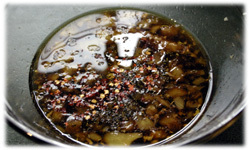 With this marinade there's no boiling so it's quick and easy to prepare. Salmon, like most fish and seafood, quickly absorbs flavors from the marinade. 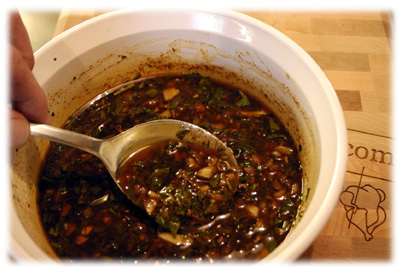 Don't leave the fish in this marinade recipe more then 4 hours or it will start to acid cook. I've also found this marinade works very nicely with pork too. 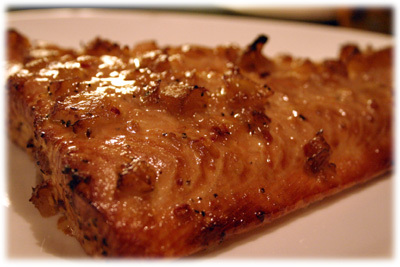 Check out these Mojo Barbeque Pork Ribs, you'll think you're at a Hawaiian beach party! Combine all the ingredients well in a glass bowl or glass jar, mix well, seal the lid and refrigerate until use. This marinade recipe keeps well a couple weeks in the refrigerator until you're ready to use it.